*The final positions of teams FC Ylivieska and Janakkalan Pallo were decided by the result of their mutual game (result 0-1).The final positions of teams IK Myran and PS Kemi/YJ were decided by goal difference. *The final positions of teams FC Raahe and Tervarit-j B2 were decided by goal difference. *The final positions of teams KPV and Virkiä were decided by goal difference. *The final positions of teams Esse IK and Pärnu JK Vaprus were decided by the result of their mutual game (result 3-0). *The final positions of teams NuPS Musta and FC Raahe were decided by the result of their mutual game (result 1-2). *The final positions of teams Tikka and FDS WBA FC FDS England were decided by the result of their mutual game (result 1-0). *The final positions of teams Jaro vit and MPS were decided by goal difference. *The final positions of teams Kraft and LBK were decided by the result of their mutual game (result 0-4).The final positions of teams KePS punainen and GBK randig were decided by the result of their mutual game (result 2-0). *The final positions of teams KePS punainen and Jaro svart were decided by goal difference. *The final positions of teams VetU and Jaro röd were decided by the result of their mutual game (result 2-1). *The final positions of teams TUS and PaRi were decided by the result of their mutual game (result 0-1).The final positions of teams Pärnu JK Poseidon and KäTa were decided by the result of their mutual game (result 1-3). *The final positions of teams Jalas and LoVe musta were decided by goal difference. *The final positions of teams FC Reipas musta 1 and Paide Linaameeskond were decided by the result of their mutual game (result 0-1). *The final positions of teams Futbola Parks and Rakvere JK Tarvas were decided by goal difference. *The final positions of teams GBK vit and LBK svart were decided by the result of their mutual game (result 0-2). 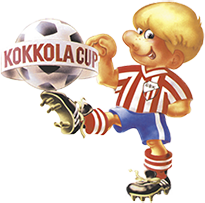 *The final positions of teams IK musta and KPV musta were decided by goal difference.The final positions of teams Komeetat sininen and GBK röd were decided by the result of their mutual game (result 2-1). *The final positions of teams OTP valkoinen and TU were decided by the result of their mutual game (result 3-2). *The final positions of teams Virkiä and JK Tallinna Kalev were decided by the result of their mutual game (result 0-2).The final positions of teams KPV vihreä and Haka-j. valkoinen were decided by the result of their mutual game (result 0-4). *The final positions of teams Rakvere JK Tarvas, LBK and Sisu were decided by the results of their mutual games. *The final positions of teams PK-37 valkoinen and KäTa valkoinen were decided by the result of their mutual game (result 0-3). *The final positions of teams GBK punainen, PeFF and OTP punainen were decided by the results of their mutual games. 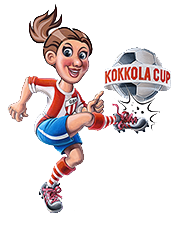 *The final positions of teams VetU, KP-V and FC SCJ valkoinen were decided by the results of their mutual games. *The final positions of teams HBK and ONS 06 punainen were decided by the result of their mutual game (result 1-0).The final positions of teams KPV smaragdit and Esse IK were decided by the result of their mutual game (result 0-1). *The final positions of teams KPV vihreä and ONS 05/06 were decided by goal difference. *The final positions of teams GBK röd and KäTa were decided by goal difference. *The final positions of teams GBK vit and K-Pallo were decided by the result of their mutual game (result 0-1). *The final positions of teams Klubi-36 vihreä and TUS were decided by goal difference.